It's a Bank Holiday, woop! To celebrate they are offering a huge 400% Welcome Bonus. Bonus code is valid until Midnight on Monday 27th May. Ahoy Matey, board one of four dangerous ships at ye own risk; The Liberty, The Black Pearl, The Golden Hind or The Adventure and set sail from 10p - 50p. See if ye can seize a jackpot up to £1,000 from now until Sunday 9th June 8pm - 10pm. Things are heating up this summer with the £13,000 Special Game on Wednesday June 5 at 8:45pm. You could win £1,000 for one line, £2,000 for two lines and £10,000 for a Full House! This month the B Happy for B's chat special is yet another fantastic opportunity to get up to 15BBs if you bingo on any number under B's! Join in on all the fun on Tuesday June 4th from 6pm-9pm ET. Check out the BingoLite! room for evening link games and £250 full houses guaranteed! Over £5,000 up for grabs every day! 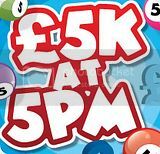 Play for over £5,000 cash every day with the £5K at 5pm Guaranteed Linked Games! Join them for 13 exciting Linked Games between 5pm and 6pm for your chance to win up to a huge £300 Full House! Bingo on any double numbers on Monday June 10th in the Spring Bingo Room from 8am ET until midnight and you'll be awarded with extra BB's! All you have to do is e-mail chatadmin@downtownbingo.eu with your alias and game number. Join them for the Double Number chat special! On Tuesday, June 25th, from 6pm-9pm ET1TG Madness Chat Special will be taking place in the Diamond Room. 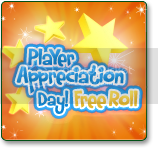 If you're down to 1TG when the bingo game ends you can be rewarded extra BBs! On every game played during this timeframe, if you are down to 1TG on any card purchased, simply email to collect 5BBs. Make sure to join them in the Pink Room for our $1,500 Free Roll! There's $19,500 in FREE CASH PRIZES! They are giving away loads of shopping vouchers in the Lucky 7 Bingo Room! You could win Love 2 Shop vouchers just by playing bingo. All you have to do is enter the word LUCKY into the bonus codes section of the Bingo Lobby and spend at least £25 in their Lucky 7 Bingo Room between Monday 24th and Thursday 27th June and they’ll add you into the prize draw. Enter the Summer Bingo Room for their first big event of the month playing on Canada Day - Monday July, 1st. The Canadian Max Games are a "MUST PLAY" with a total of 6 games starting at 6pm ET. Celebrate Canada Day with the special Canadian Max Games offering $150 Maximum $500 games. Get ready for amazing jackpots worth £10,000! Pick one of four game rooms; Mirage, Luxor, Venetian or Bellagio. You can play the games for 10p to 50p per game. Spin into Bingo Roulette today! Good luck! Play to win a Samsung Wifi Digital Camera! All you have to do is play Bingo and Slots between Wednesday 3rd - Tuesday 9th July. For every £1 cash spent on Bingo, £5 cash spent on scratchcards and £10 cash spent on Slots you'll receive one entry into the draw. Make sure you enter bonus code SUMMER before you deposit and play, and then keep your fingers crossed and say cheese! On Monday, July 8th, from 8am-12am ET in the Summer Room, if you bingo on a number with an 8 in it, you can receive 8BBs. You can be eligible as many times as a bingo is won on a number with an 8 in it. However if more than one card wins on the same game, you will only qualify once for that game. You can win a share of 1,000 free spins on Starburst this week during the celebration of their brand new Mobile site. Play on all of your favourite games on your phone, iPad or Tablet PC and they’ll give the top 10 players the chance to win some free cash with some free spins! Keep your eye on the leaderboard to see how you rank. Shiny winners with XTG Wednesdays! Winners fly everywhere, every Wednesday between 7p.m and 11p.m in the Gold room. There’s £/€15,000 guaranteed to be won and an XTG feature runs on every single game. That means even if you don’t make the full house there are prizes for 1TG, 2TG and 1 & 2TG in every game ranging from £/€75 to £/€950. More winners, more reasons to play every Wednesday. Make your first deposit at Sing Bingo today or tomorrow to enjoy a 300% bonus – plus, they'll give you 10 cards to our Viva Espana game! Enter code SPAIN300 to claim your reward. You could win a £1,300 trip to Benidorm in their Viva Espana game playing on 31st July! For one night they will be slashing bingo card prices in the Gold Rush 90 Ball Bingo Room for Value Night. All tickets will be between 1p and 10p but the prizes will still be up to £1,000! Tickets will be cheap and there will be plenty of opportunities to win with 1 to go, 1 and 2 to go, roll on bingo and last chance saloon games! Vicky's Secret is out for a whole week of Bingo! Take this chance to win your $500 Victoria's Secret Gift Card that can be used to purchase products from any Victoria's Secret Store and can even be used online! To take part in this tournament, clear up your schedules from Monday July 15th until Friday July 19th and see if you'll be the 1st Place winner who gets to earn a well deserved $500 Gift Card or the Cash Equivalent. Pick 8 numbers from 1 to 75 and send these along with your alias via help ticket to participate! The goal is to collect as many if not all of your lotto numbers! When you or someone else calls on one of your lotto numbers then record that game id and the number bingo’d on. You must purchase at least 4 cards. You must also have a current deposit in the past 7 days to be eligible for any prize claim! Every wager automatically earns players free entries to the upcoming very special £500 Second Chance Game. 1. Wager and play ANY SLOTgame. 2. Receive automatic entries to the Second Chance Games, just for playing. 3. Come watch your cards play in the Second Chance Game and win £500! Race for cash and Virgin prizes every day! 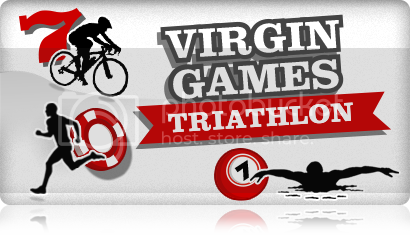 To celebrate the Virgin London Triathlon, a Triathlon with the chance to win cash and exclusive Virgin prizes runs every day! To take part, simply wager the required amount on the specified game(s) of the day between Monday 22nd July and Wednesday 24th July and you’ll earn one draw entry each time you meet the wagering requirement. Win a share of £100,000! £2,000 prizes will be won every 30 minutes 7pm -10.30pm. With over $1,500 in FREE PRIZES every Wednesday, be sure to be there at 10:00 pm to midnight in the Yellow Playroom. Win your share of the $1,500 prize every Wednesday. They are celebrating their 6th anniversary this month. Take part in a 75-ball bingo game featuring the special pattern "6" and you could triple your bonus win. 6 games played every hour and every day from 6pm - 11pm. See site for more anniversary specials! Shine bright like a Diamond on Tuesday’s and Thursdays and join Sunny for his brand new Mill Thrill games! There’s a massive 3 million Diamonds up for grabs each week, so why not join in the fun and become a Diamond Millionaire!! Get a Refreshing 200% bonus on all your Thursday deposits this month! Deposits of $100 or more on a Thursday are eligible for a 300% bonus! Simply contact them when you deposit $100 or more to redeem the additional 100% bonus. Whoever said that the number 13 was unlucky is clearly wrong! 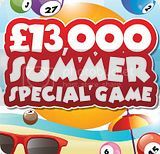 If you Bingo on B13 in the Summer Bingo Room when playing the Lucky 13 chat special you'll get 13BBs! So join them on Tuesday August 13th from 8am - 12am ET and play Lucky 13! Wake up to daily Slots Cashback! Have silly fun on selected Slots and Mini Games for the chance to earn up to £25 every day this week. Win a Sonos Sound System and iPad! It’s Elvis week and they’re celebrating by giving away daily cash prizes plus a Sonos Sound System and Apple iPad. Simply wager £50 on Elvis or any other Slots or Slots Mini Games on your Desktop, Smartphone or Tablet between Friday 9th August and Tuesday 13th August and you’ll earn one draw entry each time you meet the wagering requirement. It's been an exciting week at 32Red Bingo and they've got a new bingo room for you to play in called Lucy's Lounge . Now you can play even more of your favourite bingo games between 10am-2pm and 6pm-10pm. There will also be some great new chat games for you as well to keep you entertained between and during the games giving you chances to win BBz. You can buy tickets from as little as 2p , making your money go that little bit further. Today Monday August 19th and tomorrow Tuesday August 20th receive an EXTRA $50 Bonus the first time you use your MASTERCARD to deposit. Receive a 100% EXTRA Bonus on all deposits you make today and tomorrow August 20th before midnight. Daily Freeroll Games to Play! Free entry with a recent deposit. Get a special bonus from the RogersBingo that you know and love. As always, they have no wager requirements and a Keep-What-You-Win policy. So visit them today and play in this fun game and take advantage of this and all of the other great offers available for a limited time. Once you become a depositing member, you'll also get automatic entries into some of their exciting Special Games, where you can win exciting prizes! Players will purchase 6 Bingo Cards each – no more and no less just to keep things fair. The Games taking place will be $100 Guaranteed Games playing for four hours non-stop. This bingo even will commence at 8PM ET in the brand new Summer Bingo Room on Monday August 26th. Look out for the Jackpot Genie on his magic flying carpet. He’s travelling around the world and will be joining the Bingo Cafe @ 9pm. With £5,000 in guaranteed prizes you would be mad to miss it! Playing nightly at 9.30pm in the Prize Bingo tab, there is a different prize every night, ranging from electronic scales to shopping vouchers to treat yourself. The 2p cards are available to pre-buy right now. 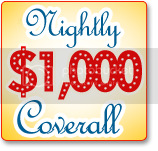 Tonight's $1000 10PM coverall goes in 55 calls! Someone has to win it... it might as well be you! Join in the Wizards Quest at Fancy this month for your chance to win a state-of-the-art entertainment prize package! They are giving away a home cinema system with surround sound, plasma TV, Blu-ray DVD player and Harry Potter box set in the big game on 1st October! Complete the magical quests each week to earn your FREE cards. The 10th series of X Factor is currently showing on TV and they have a £500 prize pool to offer those who can predict the winner of the current series. Over £200,000 in Full House guarantees! They’ve got over £200,000 in guaranteed Full House prizes up for grabs in our huge Super Links Week! Join them and play Bingo 90 every day from 8am-12:30am between Monday September 30 and Sunday October 6 for your chance to scoop thousands from just 10p every half an hour. Don’t miss the best value Bingo and the best prize money around! On Wednesday 2nd, 16th and 23rd of October they go back to the Stone Age with Bingo Party Live! They’ll be playing 2 extra special prehistoric themed bingo games an hour between 8pm and 11pm every Wednesday in the Bingo Party Live. The tickets for these special games will cost you just 2p each, but you have the chance to buy 30 tickets and get another 30 tickets absolutely free! So that’s 60 Stone Age tickets for just 60p! There will also be chat games and extra special games Unga Bunga, Spark Bingo and Dingo Bingo. End of month 200 % Blowout! 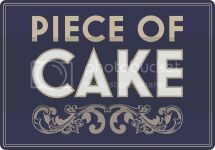 It's the last day of our 8th Anniversary and they have a special treat for you. Receive a 200% EXTRA Bonus on the next deposit you make today, Monday September 30th , 2013 from 1pm EST and until midnight. 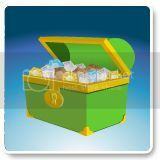 This bonus is on top of all regular bonuses you normally get!